Needless to say, now, I probably got, like, 300 pairs of shoes at my house that I don’t wear! 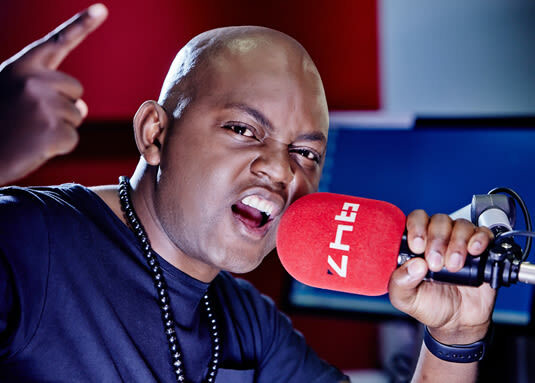 This week Whitfield interviewed DJ Euphonik, aka Themba Nkosi. Nkosi is a wildly popular South African House DJ, music producer and radio presenter. He’s won numerous awards and scored a number one hit (Cool and Deadly) on the 5FM Top 40. Nkosi owns 14 properties in Johannesburg, according to SA Music Mag, who ranks him as South Africa's third richest DJ. My earliest memory of collecting music was when I was nine years old. I’ve got a little bit of a retirement plan… because there’s nothing cool about a 50-year-old DJ! If I invest in property; why do I need a retirement fund? I don’t touch anything I don’t understand… I have no Bitcoin whatsoever! Certain things you need to own; other things you need access to. Money doesn’t care about you! Every single thing I want, I save for it. The Money Show’s Bruce Whitfield asks Blue to talk about his attitude to money (hopes and fears, successes and failures, etc. ).